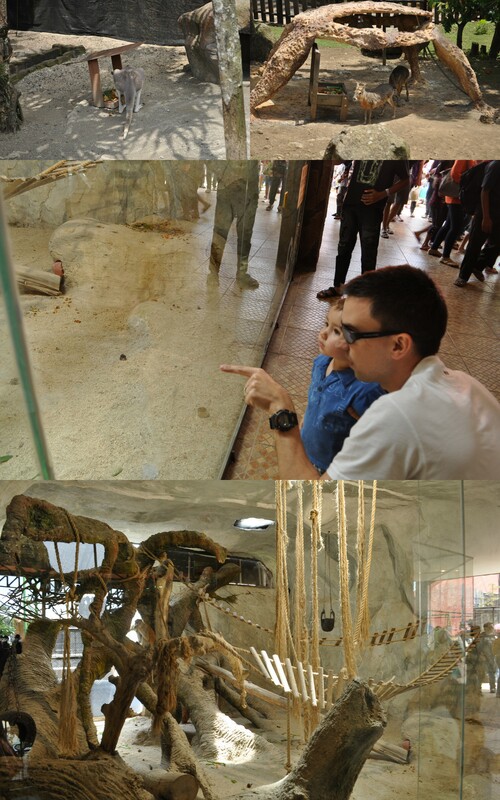 If you are in Surabaya for a few days, the Batu Secret Zoo is a must see! 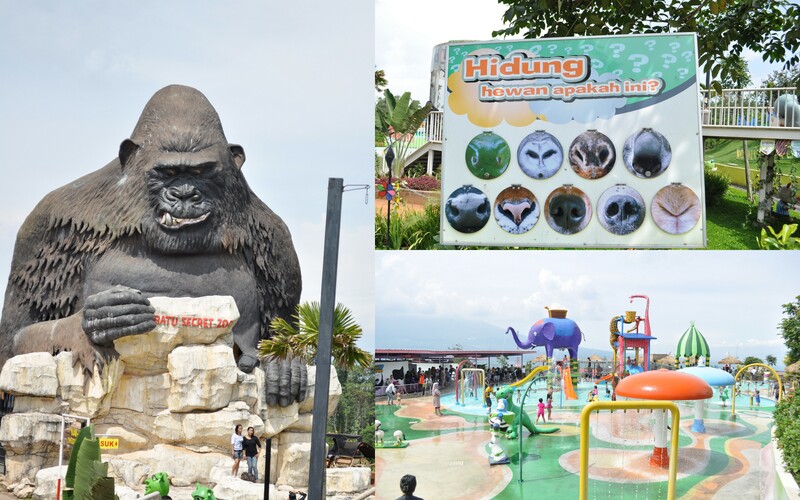 Although it’s a good two to three-hour drive from Surabaya you won’t regret making the trip. 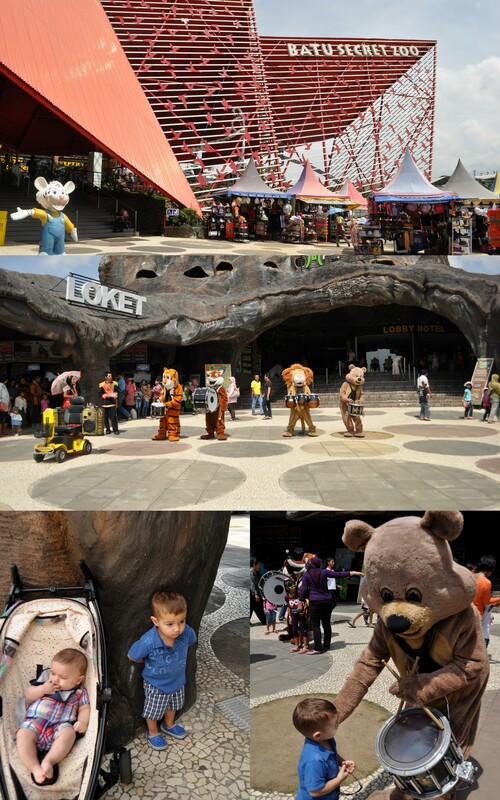 For only 120,000 rupiah per adult for the zoo and the museum (kids get in free), it’s a steal! This zoo has nothing secret about it as it is very popular among the locals so I would make an effort to avoid going during the weekend. The heat and humidity also make it a tough trip but there are plenty of shops where you can buy cool drinks and you can rent a motorized scooter and ride around without wasting much energy and speeding thru the crowds that just want to pinch your chubby babies’ cheeks. You see, apparently the main attraction at this zoo is my children. Being the only foreigners there, everybody kept staring at us and checking our every move. Many wanted to take pictures of or with the kids, some asked, some tried to do it in a stealthy manner but failed. 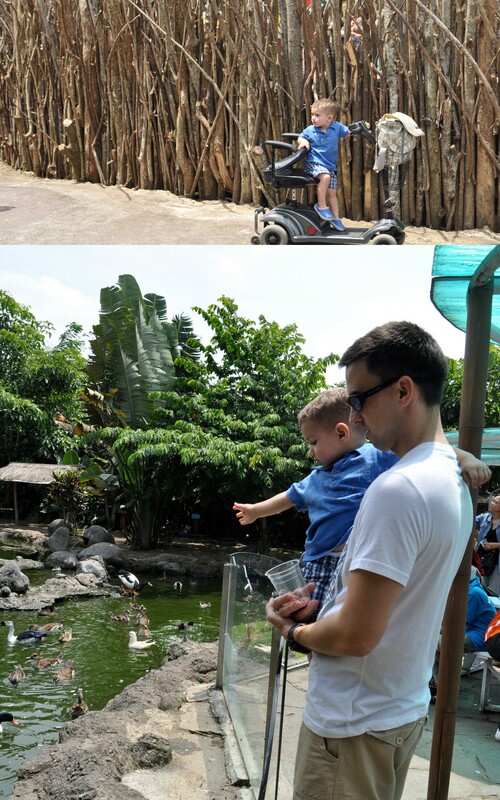 Moving on to the real attraction, the animals and the park itself. To my surprise and excitement the zoo has an excellent layout and it guides you thru the different areas or ecosystems (Savannah, Africa, Tiger Land, Fantasy Land, etc) in a very orderly way. You do have to go up and down some hills but there are plenty of rest areas, shade and things to do on every stop you make. All of the descriptions of the animals are in Bahasa but it’s easy enough to at least understand where they come from and if they are in danger of extinction or not. After a somewhat long and crowded walk, we entered the aquarium. Finally, some AC, but wait, what’s that smell??? Anyway, it was very clean and very well-kept despite the fishy smell. 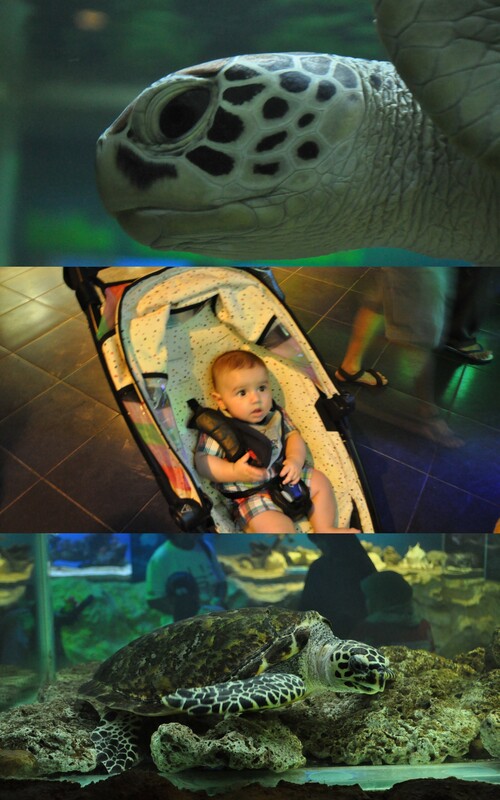 The best part of the aquarium for me was to see Joshua fixating on the turtles. I’ve never seen him observe anything son intently. 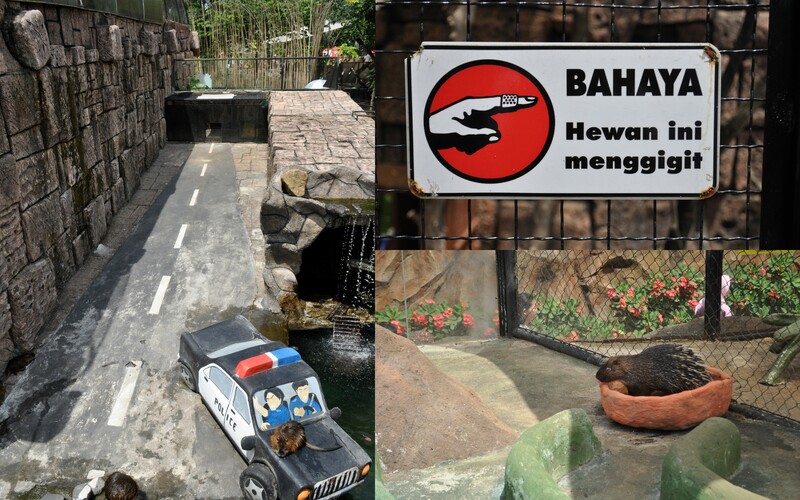 In two different areas of the aquarium they have animal petting and photo-op areas. They were so much fun! 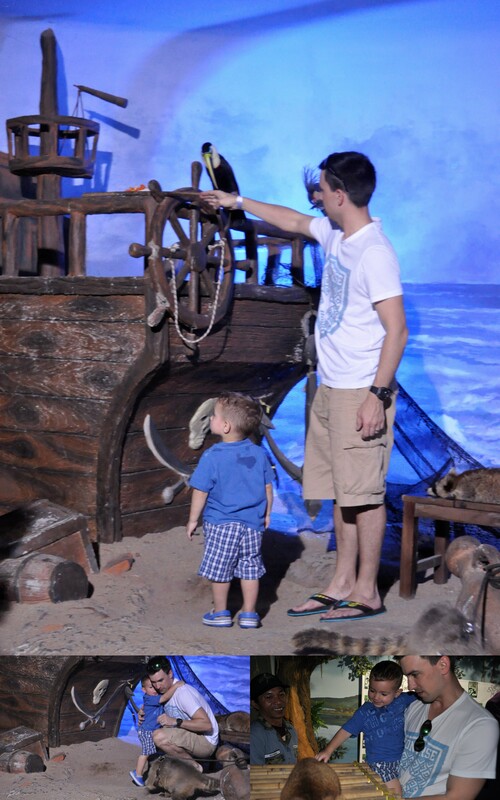 Evan and daddy played with what we think was some kind of monkey and later took pictures with several birds including an owl and a toucan. To leave the aquarium, you have to walk up a tunnel that is the home to thousands of insects. Evan wasn’t into them so we just walked past them. 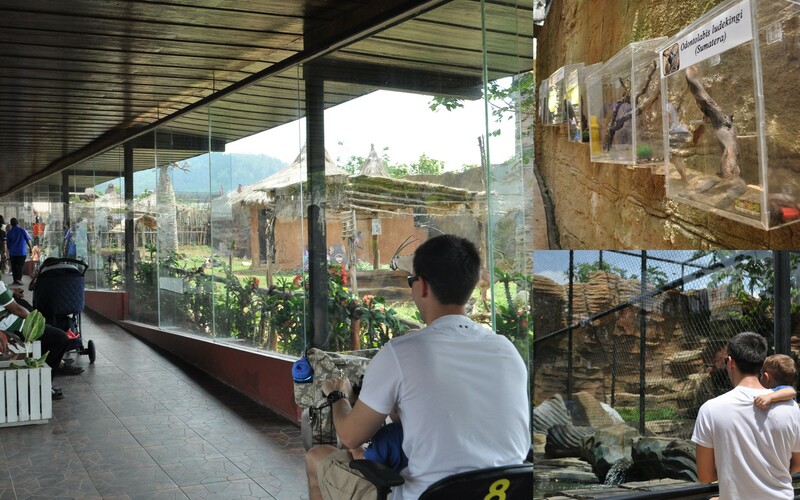 Soon after the insectariums, there is the reptile area but we avoided that, too. This is where we gave in and rented the electric scooter (100,000 rupiah for 3 hours). Evan was so excited about it that he rode on it instead of running away, yay! Soon after that, we breezed throughout Savannah and River Adventure and later arrived in Fantasy Land. 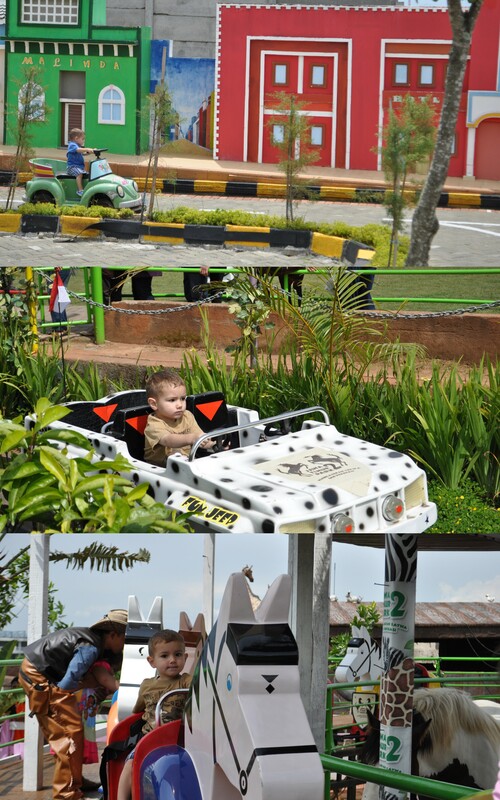 Fantasy Land is filled with rides, arcade games, a playground, a food court and a water play area. I was so excited to let Evan ride on everything, but my husband wasn’t so sure. He compared it to Disney World during the 70’s. It’s true; the rides are not the newest (or safest?). Evan spent about an hour in the water play area and we had to drag him out of there. 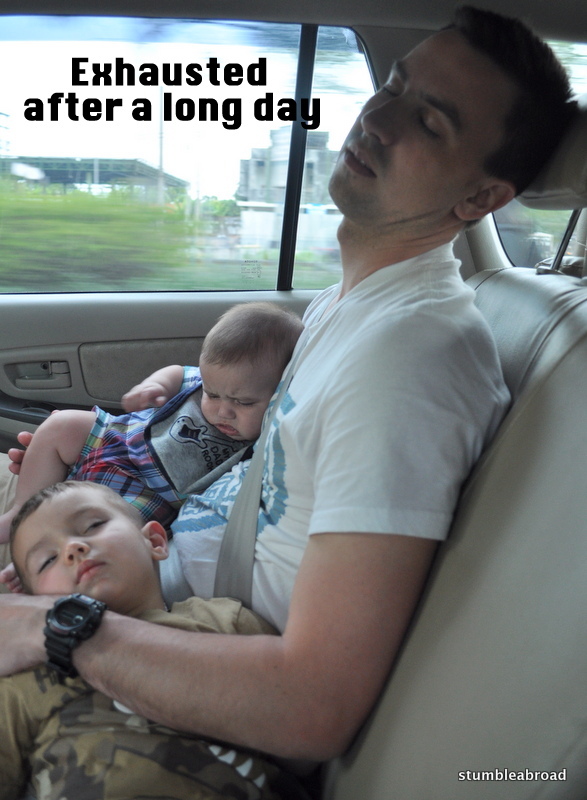 After that the kids started getting fussy and we thought we might hit traffic so we started hurrying and heading out. 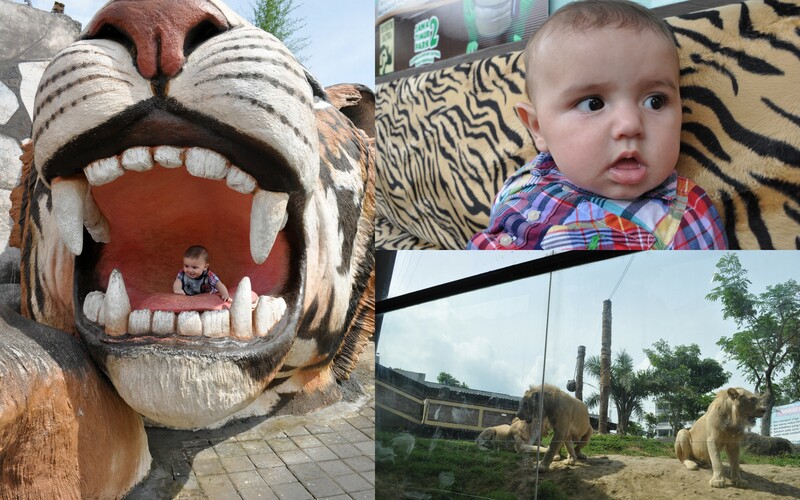 We saw giraffes, monkeys and an amazing tiger haven. 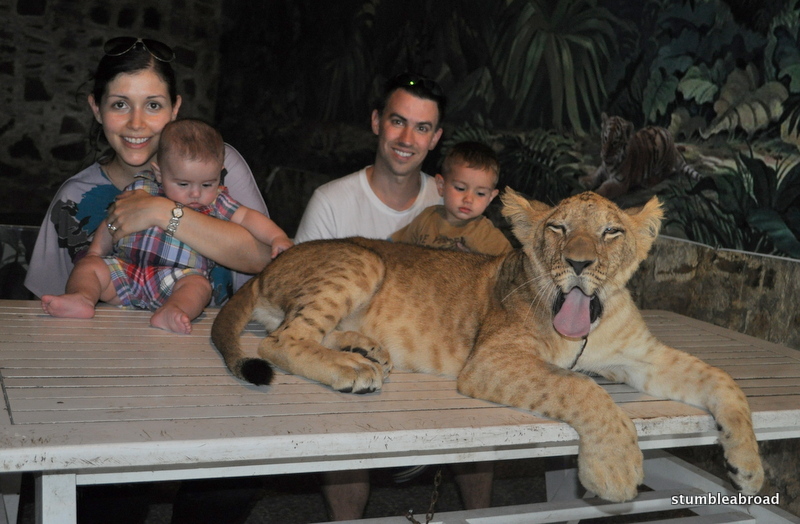 They had all kinds of tigers from all over the world and we even got to play with a four-month-old baby tiger. As we finally approached the exit we realized we hadn’t even taken a look at the museum. 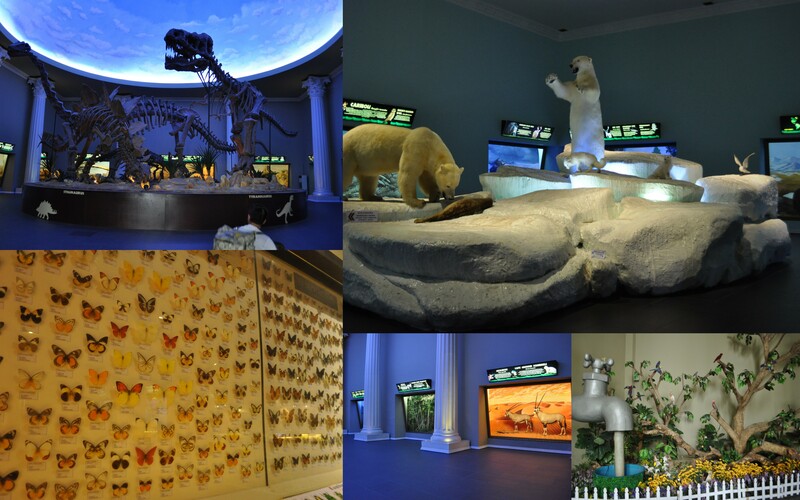 The museum is bigger than we realized and it has similar exhibitions to what you would find in a natural history museum. They have some information in English but it’s mostly in Bahasa. However, the exhibitions are very nice and worth stopping and looking at, which we didn’t. Our visit was very pleasant and I only have three complaints. First, the ride there is a rough one. It’s long and the roads are not in the best conditions. It can be very bumpy and you might get stuck in traffic. Second, the toilets there are not up to “western” standards. It’s hard to find toilet paper, and more than half of the toilets are designed for squatting rather than sitting. Third, the food was not my favorite. If you enjoy Indonesian fare then you are in the best place on earth, however if you are tired of nasi goreng and instant noodles like me, the food is not worth raving about. 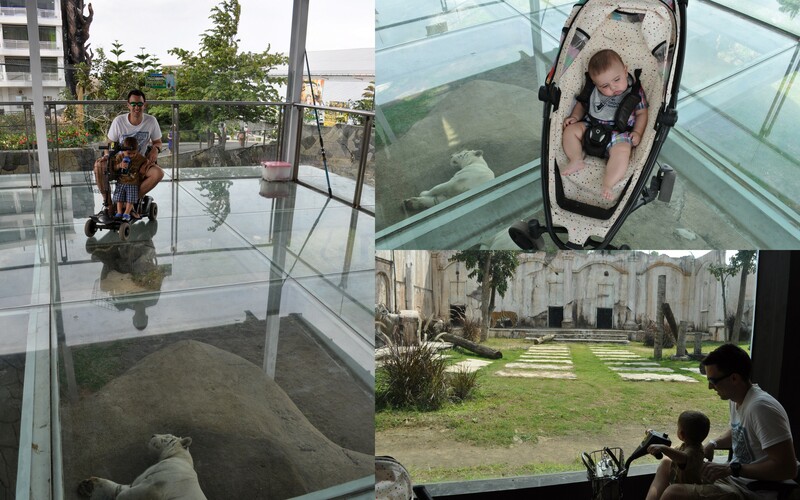 Overall, we really enjoyed this day trip. I don’t think I’ve ever had the opportunity to pet so many wild animals in one same place. I would definitely recommend planning on staying there over night. They have a very nice hotel on site and if you really want to ride on all the rides and actually learn something from the museum, 4 or 5 hours are just not enough and the ride back is a rough one if you are sunburned and tired.